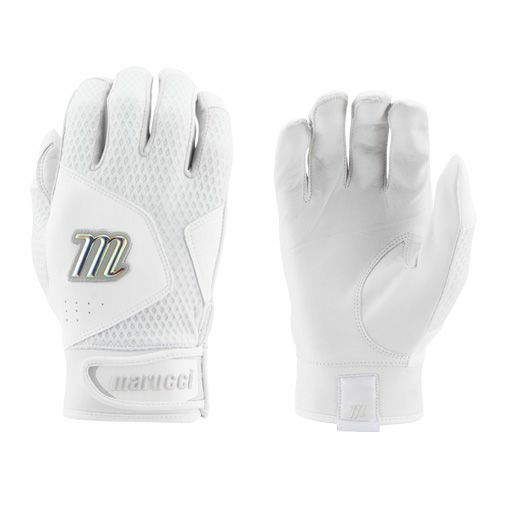 Made with you in mind, the all-new Marucci Quest 2.0 Batting Gloves are a sleek, breathable adult batting glove that has flexibility and comfortability while also being incredibly durable thanks to its genuine leather. 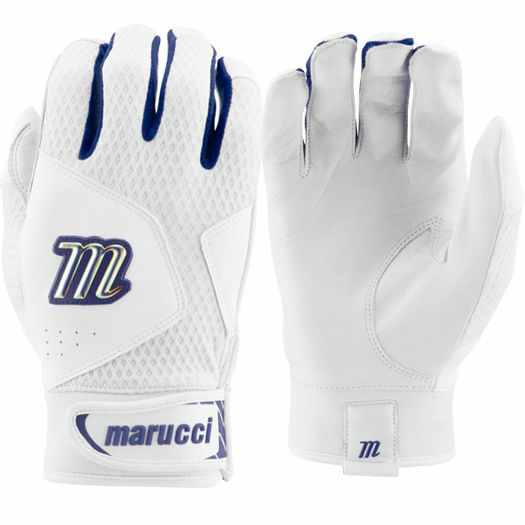 You’ll get an outstanding grip on the bat with these batting gloves that have a simple, clean look to them. 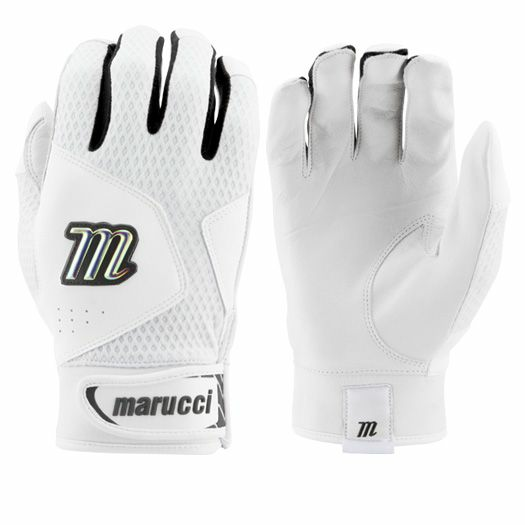 Also, they feature a neoprene cuff delivers an unmatched support and comfort that gives every hitter the opportunity to focus on making their best swing. 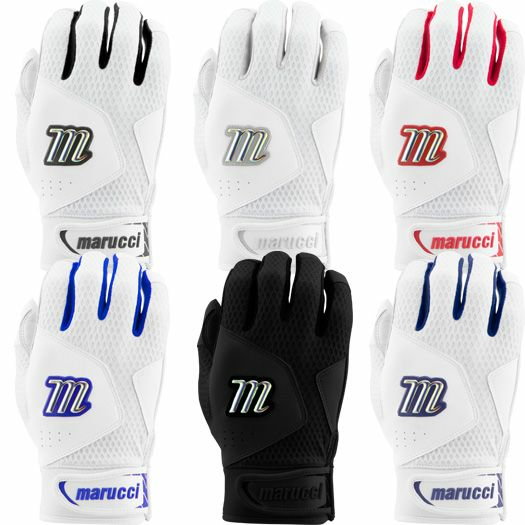 You won’t want to miss out on these all-new, updated Marucci Quest 2.0 Adult Baseball Batting Gloves! 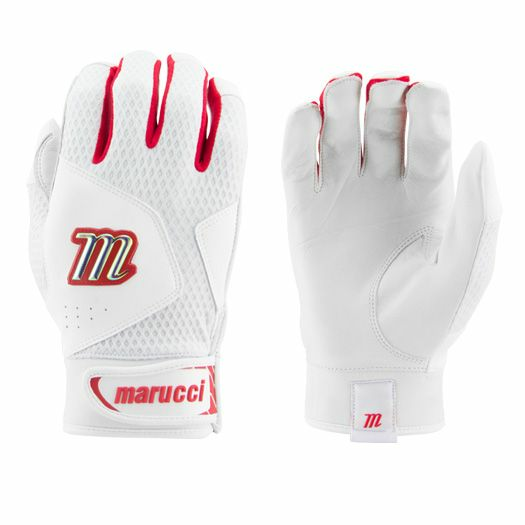 -	Genuine Leather Palm: provides durability, comfortability and an enhanced grip. -	Dimpled Mesh Back: offers breathability, flexibility and durability. 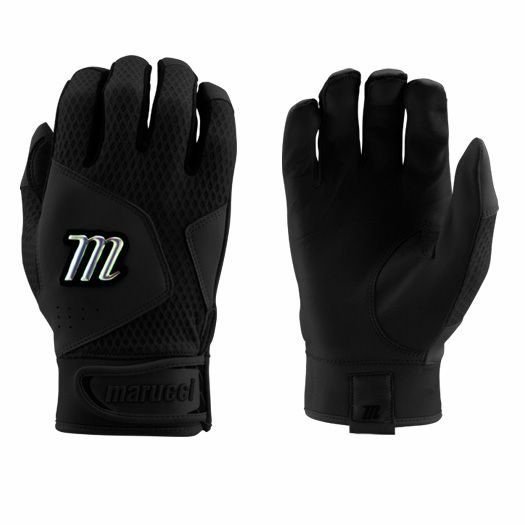 -	Neoprene Cuff: delivers unmatched support and comfort.